Thank you for your interest in the 2018 Williams Route 66 Marathon. I am sorry, but we do not have a waiting list. We do have a fundraising option available through midnight on Nov 10th. The number of participants that register but do not end up participating for various reasons is consistant at around 10% per year. We calculate this in to everything we order and how we set the pricing for all races so there will not be extra entries or a waiting list. We have to order shirts, medals and many other items required for the marathon in August and there is no way to order and receive more of these items in time for this years races. Otherwise, we hope you will consider one of our other races listed below. 5K Run and Walk - Participants must be at least 6 years old on race day, and strollers are not allowed in the 5K. Visually impaired individuals can compete with a seeing-eye dog. As always, walkers are welcome in all Williams Route 66 Marathon races. Take the first step towards a healthier you by registering for this 3.1-mile course. 1 Mile Fun Run and Walk - This one-mile event is fit for the entire family, and it’s the perfect start for individuals on a fresh path to wellness. The event is not timed, and walkers are welcome to register. Strollers are welcome in the Fun Run and Walk, and visually impaired individuals can compete with a seeing-eye dog. Whether you have sprinting goals or just want to get off the couch, get started by registering today. Registration for the 2018 Williams Route 66 Marathon is located at: www.route66marathon.com. There are also several volunteer opportunities available. You can learn more about volunteering at the 2018 Williams Route 66 Marathon at the link below. 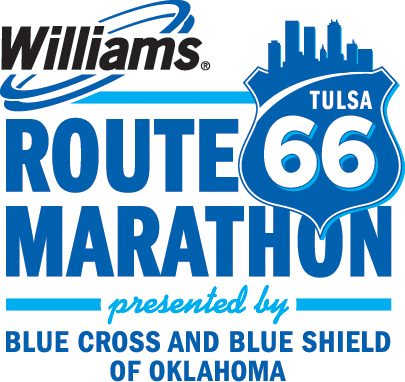 Please register for our email updates, follow us on twitter or like us on facebook for the latest information on the Williams Route 66 Marathon.